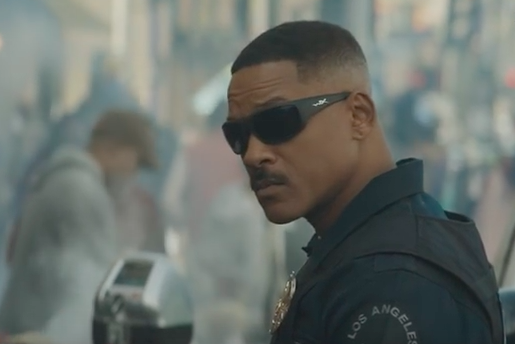 Despite harsh reviews from critics, Will Smith’s Netflix film “Bright” is getting a sequel, the streaming service announced Wednesday. The movie premiered Dec. 22 and was hit almost immediately with an onslaught of negative feedback from numerous publications, most critics echoing the sentiments that landed the movie a 28 percent rating on Rotten Tomatoes. Viewers, however, seemed to love the movie, which had a rumored $90 million budget. After the first week of its release, Netflix announced it was already the most-watched Netflix film ever on the service. It currently ranks No. 1 on Netflix internationally. After much speculation, the movie's official Twitter account affirmed there would be a sequel. Writer and director David Ayer will return for the sequel, with Will Smith and Joel Edgerton expected to star in the film. One person missing from the next “Bright” movie is screenwriter Max Landis, who has come under fire for allegations of sexual assault and a history of sexual abuse. Social media lit up with accusations against Landis around the time “Bright” premiered. Sometimes men who commit sexual assault are talented screenwriters and their work comes with baggage. other times, they’re Max Landis. Regardless of the controversy surrounding Landis and the negative reviews, “Bright” reportedly snatched 11 million views within the first three days of its release, according to Nielsen data. A date has not yet been announced for the sequel.